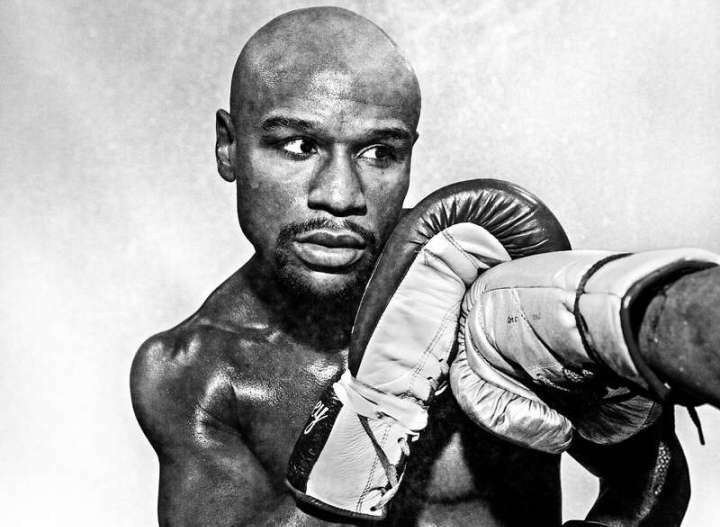 Whether or not he deserves consideration as “TBE,” when all is said and done, Floyd Mayweather Jr. definitely deserves consideration as one of the very best pugilists, pound-for-pound, of the last ten years. No question, he avoided some worthy foes, and he sought to delay his bout with Manny Pacquiao for as long as humanly possible. But he also defeated, among others, Sugar Shane Mosley, Canelo Alvarez, Miguel Cotto, The Pacman, and Marcos Maidana. 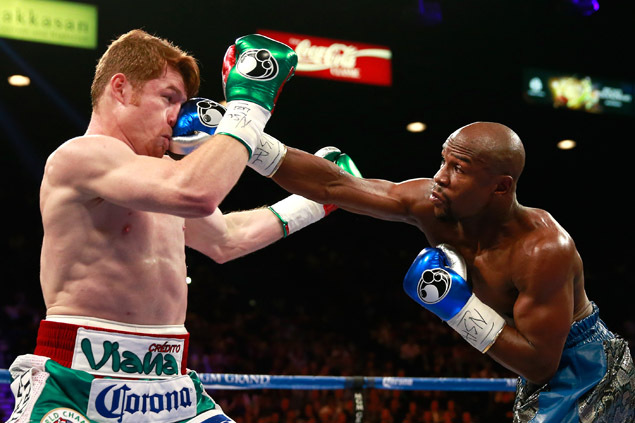 Floyd schools Canelo in 2013. Good stuff from Mr. Wylie once more. Happy to see there was some attention paid to Floyd’s ability to in-fight and get dirty. That combined with his surprising physical strength really takes away the inside game of most fighters. The only ones able to be successful against him in that territory have had to do extreme things for that success. If I come off as being upset, forgive me but as for ducked opponents the fighter’s that come to mind are Margarito and “the Punisher” Paul Williams. If those fights were to happen this is how I see it happening. Margarito vs. Mayweather: Hypothetically speaking I see Floyd using superior boxing to edge a decision. I could Imagine Floyd staying on his bicycle for 12 rounds, confusing and frustrating Margarito, landing the left straight to the body which would open Margarito up for the right hand lead upstairs, I imagine Floyd on the ropes every now and then with the crowd going crazy as Margarito unloads left and rights frustratingly, but overall I imagine Floyd winning by unanimous decision. Williams vs. Mayweather: This fight is dangerous for Floyd IF Williams is calculative and uses his length, I want to say strength but Floyd looks like he has sneaky strength so I won’t say strength whole heartedly but it might have been in Paul’s favor, and definitely his use of the jab, if Paul could keep himself from getting frustrated with Floyd’s craftyness, footwork, and countering and is able to time and counter Floyd effectively, I’d give it to Paul Williams by split decision with a strong possibility of a robbery on behalf of Floyd. I don’t see Floyd getting knocked out by any fighter although if someone was to beat Floyd up really bad I can see him retiring in the corner. Floyd in my opinion is one of the most complete boxers I’ve seen and he’s in my top 3. Ali, Mayweather, and Tyson. Those 3 along with Roy Jones Jr. have the prettiest styles to watch and I also love James Toney style!